Due to the inherent sensitivity of the empath's nature, we are naturally wired up to feel stronger connections to the people in our lives and our environments. However, due to dysfunctional programming and society at large, we empaths lose touch with our empathic gifts and instead go through life struggling and getting bogged down by the energy of others. Empaths take on negative energy which is dumped onto them that they don't desire or need. This book will teach the listener exactly how to combat this while learning how to protect one's energy. Much of our energy is also lost due to negative programming which has been controlling us for many years. Therefore grasping the reality of who we are at our deepest core and healing our past hurts allows us to step into our power and harness all the magnificent gifts which come with our truth. In this bundle, the emphasis is on helping the empath to heal these hurts and learn how to traverse their terrain in a much more confident way. We all want to live happy, loving, and successful lives but as empaths we need to learn how to work with our natural talents. The knowledge and tools in this book will guide you into living this fulfilling life. Empath as this masterpiece depicts it touches the very sensitive part of your state of mind with it's powerful literature that would literally get a grip of your emotions with it's outstanding story line, everything about this book is mind blowing and refreshing. 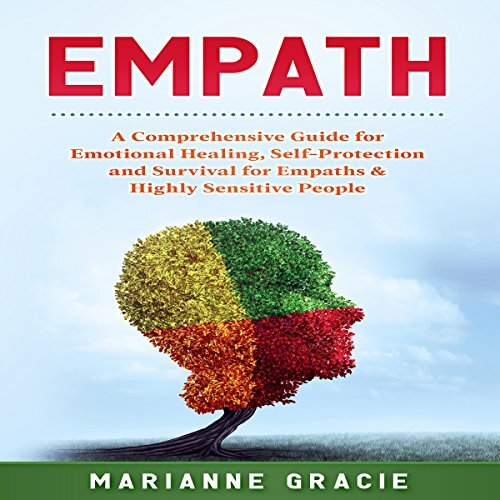 What are you waiting for get a copy today and explore the Empath. The chapters, specially are arranged in a gradually advancing manner... so you are not loaded with a lot of information all at once. It had a core value that could have been helpful, but instead bordered on insult to true empaths and was a bit of a fictional drama. I did not learn anything new from this book, other than the water energy study done by a Japanese scientist.... which turned out to be a scam. I don’t feel this book met it’s objectives and citing a bogus study is the nail in the coffin.